Born to Run: The groundbreaking Springsteen album almost didn’t get released. The birth of Born to Run. 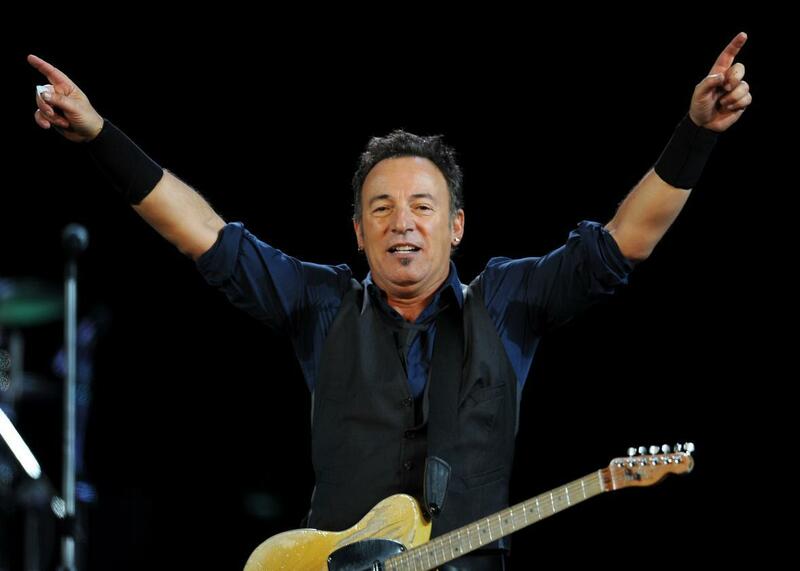 Bruce Springsteen performs with the E Street Band on May 17, 2012, in Barcelona. It’s hard to believe now, but Bruce Springsteen almost didn’t reach stardom. He had a nice local following in New Jersey and, for some reason, pockets of fans in Virginia and Texas, but in 1974, when he entered the studio to begin recording his third album, Born to Run, he was widely seen by industry types and disc jockeys as a carbonated prospect who had fizzled. His first two albums had hardly sold, despite positive reviews. He carried the burden of being labeled the next Dylan by none less than John Hammond, the executive who discovered the original. Springsteen was signed by Columbia as a solo act, but he showed up with a band. Those who saw him in small clubs loved his spirited, tireless live performances, but there were lots of riveting artists who wrote a decent song or two, drew some acclaim, and then faded away. It took him six months during the spring and summer of 1974 to record the title track. Van Zandt now laughs at the thought of it. “Anytime you spend six months on a song, there’s something not exactly going right,” he says. “A song should take about three hours.” But Bruce was working with classic-rock motifs and images, searching for the right balance musically and lyrically. Born to Run marked a change in Springsteen’s writing style. Whereas previously it seemed as if he had a rhyming dictionary open beside him, now his lyrics became simultaneously more compact and explosive. What mattered to him was to sound spontaneous, not to be spontaneous. “Spontaneity,” he said, in 1981, “is not made by fastness. Elvis, I believe, did like 30 takes of ‘Hound Dog,’ and you put that thing on,” and it just explodes. The alternate mixes of “Born to Run” that are available reveal some of the ways in which Springsteen experimented musically. In one, a female chorus joins him in the background when he sings, “get out while we’re young,” “got to know how it feels,” and “walk in the sun.” Musically, the strings at various points are more prominent than they would be in the final version. It’s easy to see why Bruce rejected this mix: The chorus and strings make the song too ethereal and distance it from the driving force of the beat. In another mix, Springsteen’s lead vocal is doubled, the chorus is still intact, and the strings at the end of the song are even more pronounced. Two other mixes play with the balance of strings and bass. At one point, the band experimented with different sound effects such as streetcars and drag racing. Springsteen is working the themes of loneliness and violence to the extreme. After “boys try to look so hard,” he sings, “Like animals pacing in a dark black cage/ Senses on overload/ They’re gonna end this night in a senseless fight/ And then watch the world explode.” Clearly, he is trying to stay consistent with other songs that he is considering for the album—at the same show he premiered “Jungleland.” The “broken heroes” of this early version of “Born to Run” have “a loneliness in their eyes,” and instead of loving “with all the madness in my soul,” the narrator seeks to “drive through this madness/ Oh burstin’ off the radio.” Sometime between July and the end of the summer, Springsteen transformed “Born to Run.” He told one writer, “I’m still fiddling with the words for the new single, but I think it will be good.” The notes of alienation, loneliness, and violence yielded to love, companionship, and redemption. Within weeks, Appel also sent tapes to Scott Muni at WNEW in New York, Maxanne Sartori at WBCN in Boston, and Kid Leo (Lawrence Travagliante) at WMMS in Cleveland. To Leo: “ ‘Born to Run’ was the essence of everything I loved about rock ’n’ roll. Bruce held on to the innocence and the romance. At the same time, the music communicates frustration and a constant longing to escape.” Leo played the song every Friday afternoon at 5:55; one fan remembers it as the start to the weekend happy hour. Nearly two dozen more stations had it by the new year. All this exposure, with no record in sight, made the record company nervous. When listeners heard something they liked, they usually wanted to buy it right away. But in this case, hearing the song on the radio helped build anticipation for the album. That Bruce and the band had “Born to Run” down is evident from a show at the Main Point in Bryn Mawr on Feb. 5, 1975. Whereas the premiere performance of “Thunder Road” and performances of other songs that would appear on Born to Run later in the year only partially resembled the final recorded versions, the band rocked “Born to Run” as if they had been playing it for years. Bruce had a lot of work ahead of him in the studio, but “Born to Run” was done.